A beautiful California sunset on the Pacific Coast of Big Sur. 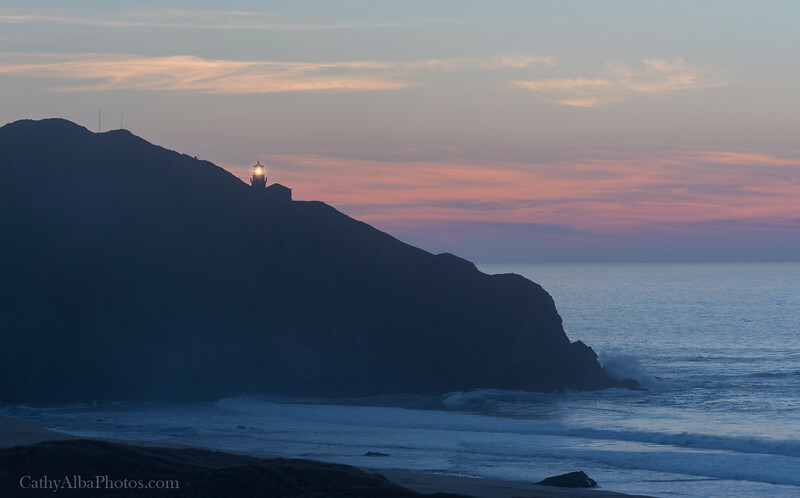 Off in the distance is Point Sur Lighthouse which stands on a volcanic rock and still lights the way for ships. What a beautiful sight to watch the sun go down and the mist form around the rock of Point Sur.